At Appliance Repair Experts, we understand how frustrating it can be when your garbage disposal isn’t working properly, or at all. This can be quite disruptive when you are in the midst of cooking and cleaning. When food particles back up into your sink, it leads to an unsanitary condition. Because we know it is important to you, we have extended service hours and will fix your broken garbage disposal the same day you call. We operate from 8 AM to 5 PM, Monday through Saturday and always provide free estimates with your repair service. 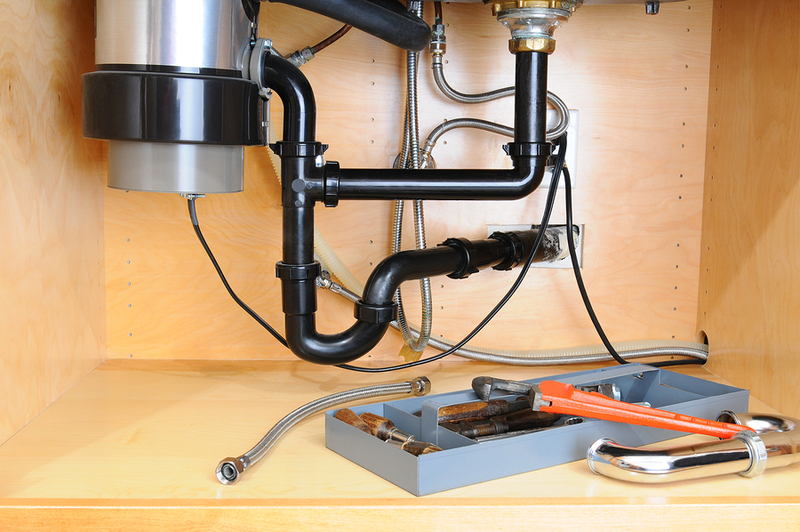 Your garbage disposal is one of the most important appliances in your kitchen. This very basic and unseen appliance eliminates food waste with ease and helps reduce insect and pest problems by eliminating the need to throw food products in trash receptacles. Contact us today so we can fix your garbage disposal and have your garbage disposal back in working order. With so many different food products going through your garbage disposal, it is easy to understand why it can acquire an unpleasant smell after some time. Fortunately, by using some common kitchen items, this can be easily remedied. Plug your drain and fill with warm water until the sink is full. Add one cup of baking soda and let it dissolve. Stir water, remove the plug and turn on your disposal. Make sure that you continue to run water for a few minutes after it drains with the disposal working. Keep your blades sharp. Another method that not only cleans and freshens your disposal, but also keeps your blades sharp is the lemon ice cleaning method. Plug and fill your sink with water. Add a cup of lemon juice and two trays of ice cubes. Pull the plug and turn on the disposal. Run additional water for a minute or two for a complete cleaning. When it comes to garbage disposal repair, one of the most common issues we find is when the motor to your garbage disposal is making no sound at all. In some cases, you can simply fix this problem by hitting the red reset button that is located on the bottom of the unit. This little button often pops out just from use, and many service calls can be avoided by resetting the disposal. Another issue we often encounter is corroded parts inside the disposal. This requires replacing those parts and sometimes the entire unit. You can avoid this problem by not “storing” debris in the disposal and keeping it clean at all times. Many people will wash food down the drain after each meal and only run the disposal once a day. This is not a good practice. In order to keep your unit working properly, your garbage disposal should be turned on any time waste enters the disposal. Never run your disposal dry – always run water while it is in use. Running it dry is the fastest way to burn out the motor..
Never put solid or liquid fats down the disposal. It is a misconception that the blades will “chop” this up and make it safe to place down the drain. It will clog your disposal every time. Never place anything but food down your disposal. Never place dry expandable foods (pasta and rice) down your disposal. They will expand in your disposal unit, causing it to clog.